After obtaining his bachelor's degree in computer science, Paul went to work as a Systems Manager for the National Cancer Institute's supercomputer center in Frederick, Maryland. There he worked on some of the world's fastest computers such as Cray, SGI, Convex and Maspar. 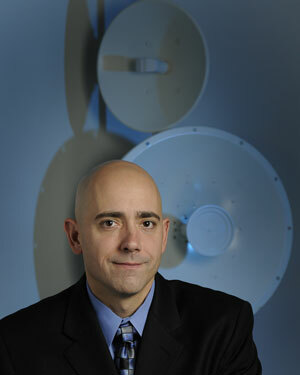 His work also included scientific programming and network security. Knowledge of Unix networks and network security helped in providing evidence for the arrest and conviction of a hacker that breached the center's security. In 1994, Paul ran as a candidate for the Maryland State Legislature. After the primary election, he was recruited to help both the gubernatorial and state senatorial campaigns. Shortly after the election, Paul co-founded the software development firm Skyline Network Technologies, Inc. Since the company's start in 1995, he's been instrumental in building and launching the ad management software, SpinBox, to be the 3rd largest site-side ad server on the market. While building Skyline in his spare time, he accepted a position as Technical Specialist with United Parcel Service in Timonium. His primary role was developing web applications and specifications for the UPS.com web site. One of the major responsibilities was drafting and implementing the first version of UPS' Data Stream Specification that allowed companies to build UPS web functionality into their existing products. During his time at UPS, Paul was recruited to sit on the technology review committee for reviewing security and integration of all software placed on the UPS web site. Paul has co-authored the first two editions of "Web Advertising and Marketing" which was given a 5 star rating by Internet World. He has taught web development and programming classes at the Community Colleges of Baltimore County and lectured at companies and conferences nationwide about the corporate benefits of utilizing interactive technologies.